Steph's Snack Shack: Lets get to the good stuff! 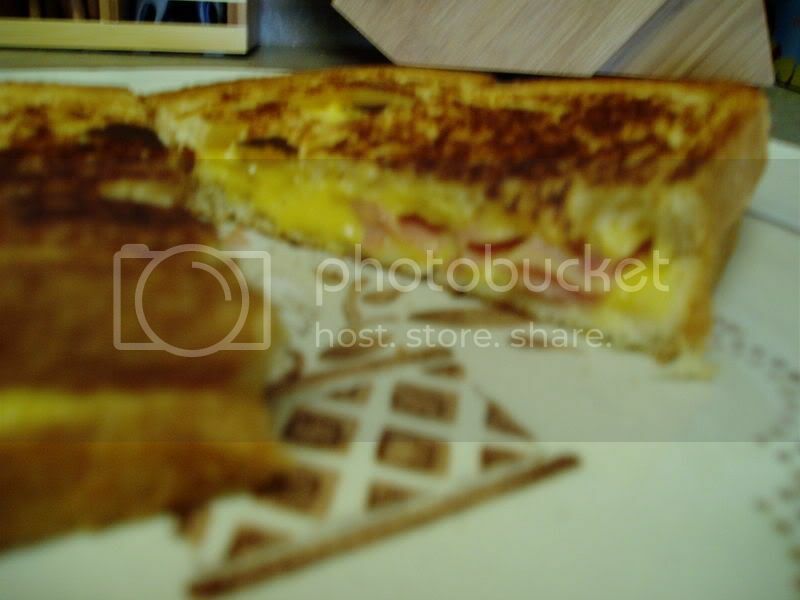 An absolute staple in my diet is grilled cheese. I've been making, eating, and ordering these for almost my entire life. I think I have perfected the art of grilled-cheese making and think that every new cook should practice making this delicious snack. Though it may appear simple, making a great grilled cheese does take some time and thought. Now, even though I said I cooked a lot with my dad, it was my mom who taught me how to make this one! Get a "nice" frying pan (this means one that cooks evenly) with a matching lid. Don't use too much butter; your sandwich will become too greasy. Use sliced cheese for a standard sandwich, or use a spread for a delicious messy sandwich. I prefer to only use about 2-3 slices of thin ham so not to take away from gooey mess of the cheese. Watch your heat closely and only keep the lid on the pan when cooking the first side of the sandwich. Remove the lid while you cook the second side. Start learning with a basic white bread and sliced cheese grilled sandwich before working your way up to those fancy grilled sandwiches. A recent sandwich - nothing fancy, but it does the trick! I very much dislike going to a restaurant and seeing that they want to charge $9 for a grilled cheese sandwich. They like to include thick pieces of bread, thick cuts of meet, lettuce, tomato, blah blah blah. If I wanted a club sandwich I would have ordered one, but I wanted two slices of Wonder bread wrapped around two slices of american cheese. Thank You.